Jose Mourinho and Paul Pogba may be at loggerheads at Manchester United, but what the Frenchman did over the weekend shows things can be sorted out professionally. United came back to beat Newcastle United 3-2 at Old Trafford in the Premier League, with the last three goals all coming in the final 20 minutes. It has been learned that Pogba was a major reason behind this comeback against the Magpies. The player is said to have consulted Mourinho on tactics. 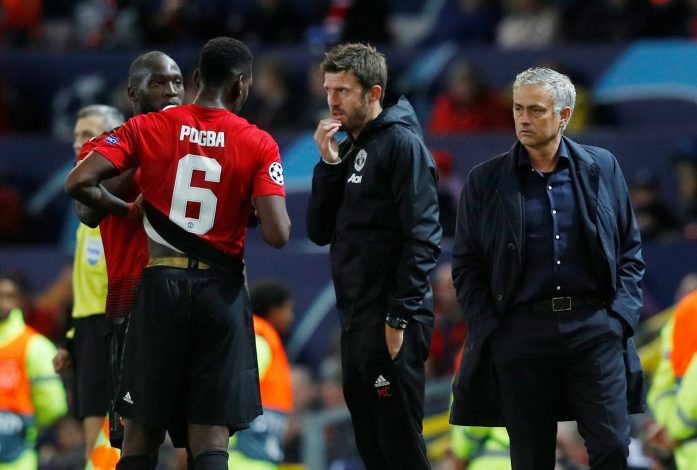 According to a report in The Sun, Jose asked Pogba on what the latter thought about changing the shape of the match, and Pogba laid out his ideas. The World Cup-winning French midfielder suggested a deeper role for himself and also bringing Marouane Fellaini onto the pitch. Mourinho following this advice, and it paid dividends. Manchester United opted for a reshuffle in midfield, with Nemanja Matic being pushed into the centre of defence. Pogba set himself up as a cushion for the back four, with Fellaini ahead of him in the midfield role. Pogba was at his best in the second half, and United dominated the game from there on, causing Newcastle all sorts of trouble. Fellaini’s introduction bore fruit and United attacked with gusto. Hopefully, this victory will serve as a new turning point in United’s season. The Red Devils are 8th in the table with 13 points in their bag, 7 points adrift of leaders Manchester City. Also, fans will be hoping that Mourinho and Pogba can settled their issues and be real professionals for the sake of the club. Since last season, plenty has gone wrong between the two.